The tourist area in Ham Rong Mountain and the cable service to Fansipan Mountain will temporarily close for tourists, according to a recent decision of the local authorities. Popular tourist site Ham Rong will stop welcoming guests starting from December 12 until the Ham Rong Rubber Tourism Join Stock Company finishes handing over the area to the authorities. The Sapa cable car will be closed as well for maintenance from January 9-13. 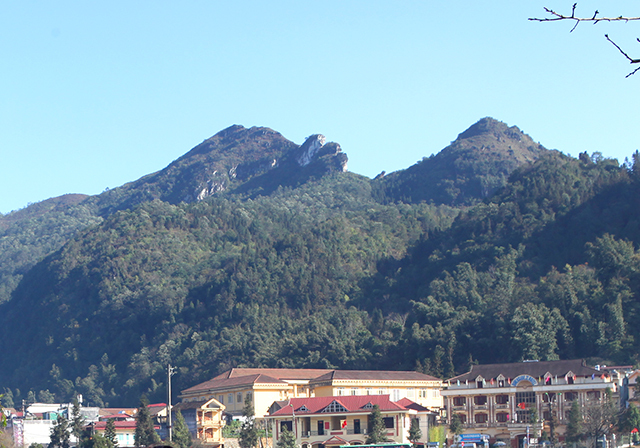 Close to the center of Sapa town, Ham Rong Mountain is approximately 2,000 m high and resembles a dragon’s head in the clouds. The vast tourist area spans 150 hectares and offers many natural attractions waiting to be discovered. While climbing up the mountain on the stone steps, tourists will see small streams running through bushy foliage. A colorful world of flowers awaits them, including 6,000 orchid plants (194 kinds). Getting to the peak of Ham Rong Mountain (1,800 m) and being in the middle of the sky where the clouds can be touched is alluring to many people. Here one can enjoy the great view of Sapa town with its beautiful terrace fields surrounded by mountains and forests appearing and disappearing in the clouds. Particularly, if you come here in spring, the most charming season for visiting, your eyes will be amazed by the colors of the town with its blooming pink peaches and white plum flowers. At the height of 3,143 m, Fansipan is widely known as the highest mountain in Vietnam and “the Roof of Indochina.” The conquest of Fansipan is dream of many professional climbers as well as adventurous travellers. Fansipan is also an appealing natural attraction for many tourists, especially those who are interested in botany. It is diverse with 1,680 species of plants, some of which are rare and can only found only here. The types of plants vary depending on the altitude. The jackfruit tree, cotton tree (bombax ceiba), and pterocarya are found at the foot of the mountain. The vast rainforest is in areas lower than 700 m, pine trees can be found from 700 m to more than 2000 m, and short bamboos (25-30 m high), genus roses and chrysanthemums are from 2,800 m up to the peak. Aside from all that, beautiful orchids, drodohendrons and wild flowers could be seen along the way to the peak, especially in spring. There are a number of waterfalls lying around the foot of the Mount Fansipan like Cat Cat, Thac Bac (Silver Waterfall), or on the way to conquer the peak like Thac Tinh Yeu (Love Waterfall). September to March is good time for mountain climbing here. However, spring is also a great time when flowers on the mountain blossom. It usually takes climbers two to three days to reach the top of Fansipan, but since February this year, the time has been shortened to 15 minutes for everyone, thanks to the cable car system. Measuring 6,282 meters, the Fansipan Sapa cable car service has been recognized by the Guinness Book of World Records as the world’s longest three-rope cable car route. It has also set the record as the world’s biggest distance between departure and arrival, measuring at 1,410 meters. 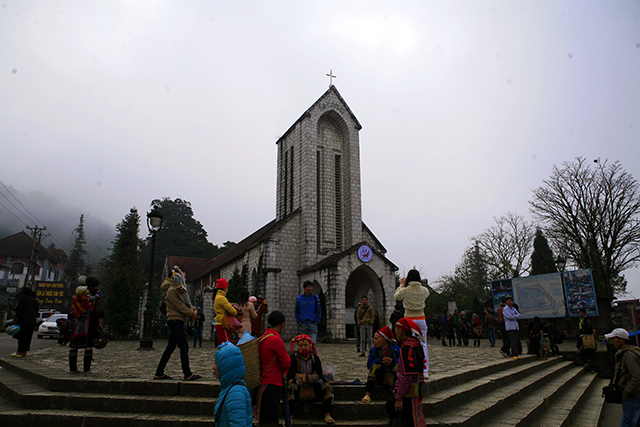 Visitors to Sapa reached more than one million for the first time last year, a 45 per cent increase compared to 2014.